If you have been driving for Uber or Lyft and are looking for a way to boost your income, consider switching to an electric vehicle. Its estimated that a full time TNC (Transportation Network Company) driver can save around $2,500 a year on gas alone. Making the switch is also strongly supported by the rideshare companies themselves. Since 2017, Uber has been the first company in the ridesharing industry to actively encourage its drivers to switch to electric cars. As a result, more drivers are switching to EV’s such as Nisan Leaf or Chevrolet Volt, because they don’t have to spend money on gas, oil changes, operating costs, and other routine maintenance that is necessary with a regular car. Once you learn the ropes of charging your EV and figure out which distance range you can comfortably travel to, you can enjoy all the great advantages these cars have to offer. How much money can a Uber/Lyft driver save when switching to an electric car? 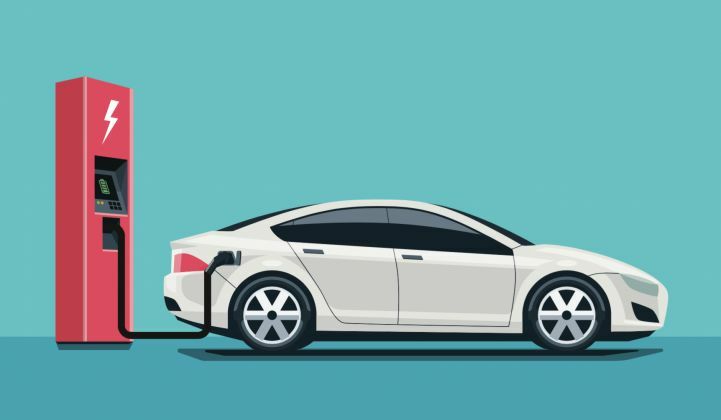 According to research conducted by GreenTechMedia, a TNC / Ride Share driver who works full time (50 hours a week) can save about $5,200 per year by switching from a gas powered car to an electric one. This figure includes $2,500 in fuel savings, and about $2,700 a year in car maintenance and operation costs. Keep in mind that this does not include fees at EV charging stations. By comparison, at the current cost of electricity, which is about $0.11 per kilowatt hour, you will spend around $2.64 to fully recharge a completely depleted battery with a 70 mile range, at a standard EV charging station. If you only need to recharge once a day, your total yearly cost will be $963. If you recharge 2 times a day, your yearly cost will be $1,927. To use one of the supercharger stations, you will be charged around $0.24 – 0.26 per kilowatt hour (many stations charge more). This is the equivalent of $5.76 – 6.24 for every charge. Yearly, this adds up to $2,102 – 2,277 if you charge once a day, and $4,204 – 4,554 if you do it twice a day. While these supercharger stations are very expensive, there is no need to use them all the time. Keep in mind that most people will not ever need to fully recharge their vehicle 2x a day. Note that your local electricity rates may slightly effect these estimates. Unlike conventional ICO / gas engine cars, electric vehicles are still VERY RARE, and most people never rode in one! Therefore, you can actually make more than a conventional Uber/Lyft driver, by showcasing your EV to the passengers, and getting them to go "WOW"! Most passangers will really like the experience, the fun, make a great converstion with you, ask questions about your EV, and most likely leave a higher than average TIP (especially now that Uber allows tipping)! Note how they all say: "WOW", "This is freaking awesome", "This is amazing!" If you are a ride-hailing driver who is using a personal vehicle, you know that the cost of auto-repair and maintenance can be rather high. All the more so, if you are a full time driver and if your car is not new. Its estimated that for an older car, full time TNC drivers can spend as much as $100-200 a month on upkeep and repair. This usually involves things like: oil change, replacing air filters, timing belts, and spark plugs, fixing breaks or rotors, etc. According to research conducted by Rocky Mountain Institute, over the course of 5 years, an EV driver can save around $21,000 on maintenance and repairs, compared to a regular car. Add to the actual dollar cost, the cost of your time and stress of having to do this maintenance on a regular basis. Comparatively, all this trouble pretty much disappears when you drive an electric car. The only thing you need to be concerned with in an EV is replacing the battery. All manufacturers cover battery replacement free of charge for the first 8 years at least, or the first 100,000 miles. What to do about range anxiety? Perhaps the biggest hurdle to switching to an EV for most ride-hailing drivers is range anxiety. Rational or not, many people are afraid of the battery dying on them in the middle of a trip with a client, or suddenly realizing that they cannot take the client as far they need to go. Or worst year, being stuck somewhere with no charging station near by. While many EV owners have a little bit of this fear when they just start driving an electric car, this is a much bigger issue for ride-share drivers. The reason is that many full time drivers use up a lot of miles on a daily basis and drive long distances. Find Charging Stations near you - set your location. Many also travel far to and from work. Full time drivers in large cities such as New York or San Francisco can easily put on as much as 55,000 miles a year on their cars. On a daily basis, many drive as much as 150-175 miles. This means that depending on your electric vehicle’s milage range, the possibility of a battery running low at the most inconvenient time is very real. An additional issue is that its not possible to predict the length of trips requested by clients. If you get a request for a 20 mile trip to the airport and you know you will get stuck there with your EV, you may have to turn down this client. Many drivers are worried that with an EV they will be forced to reject riders who need to go on longer trips. However, most drivers for Lyft and Uber report that their average trip is around 5-10 miles. Its rare to get a request for a ride that is 20-30+ miles long. There are a couple of things you can do to ensure that your EV doesn’t become the source of panic attacks and sleepless nights. 1. To feel secure, get an EV with a large milege range. 2. Estimate how many miles you actually drive day to day. Research shows that most full time drivers do about 135 miles a day. Some drive a lot less, if they are only doing local rides, and not traveling far from home. Based on your personal needs, get an EV with the appropriate milage range. If you don’t drive too far, its possible you will not need to recharge during the day at all. 3. Study your typical routes and find local charging stations that you can use. Knowing this information will help you stay calm and focused in case you do need to recharge during the day. 4. Get a hybrid EV, such as a Chevy Volt or Huyndai Ioniq Hybrid. This way, when your electric battery starts to run low, you will simply switch to gas, without worrying even for a second. 5. Don’t drive too fast! It turns out that speeding can actually drain an EV’s battery faster. By driving 8-10 miles slower, you can actually extend your battery life and get more milage before needing to recharge. 6. Always use a GPS to find the shortest routes. This one is a no brainer. The faster you can get to your destination, the less miles you will use up, thus saving your battery juice. Try not to get lost, or take detours, as these situations can quickly eat away at your milage. 7. If possible, charge your car overnight, so you have a full battery ready to go the next day. Another big hurdle to switching to an electric vehicle is the question of charging it. Many people don’t understand where and how to do this, and don’t know the costs associated with this process. Here is a quick overview of the various options for charging your EV. That’s right, you can simply plug your EV into a standard 110 volt plug, with a dedicated cord that comes with the car. You can charge your car overnight. This way, the car will be ready to go in the morning. This is the cheapest charging option, with only one downside: its very slow. Most EV’s will charge at the rate of about 4-5 miles per hour. So depending on the capacity of your battery, it can take 8-10 hours to reach a full charge. At a standard rate without any discounts, it can cost $2.60-3.50 to bring most EV’s to a full charge. However, many electric companies offer reduced rates and plans for people who charge their electric vehicles at home. One popular plan that offers reduced rates is to charge your car at night, when electric usage is lower. A huge side benefit is that your overall electric bill will go down, so you will realize more savings through this as well. You should contact your electric company and find out about the rates available in your area. Another possibility, is to install a dedicated 240 volt home charger for your car and and charge it much quicker. Unlike the Level 1 chargers that come standard with the EV, this is a Level 2 charger, which is much faster – it gives you a full battery in about 5-6 hours. There are numerous residential EV charging stations to choose from, in stores like Home Depot or online. Prices range from $360 – 1,000 for the charger itself. The price that most people pay is $500-650. You can either install the station yourself, or hire a pro for about $450-550. The average reported total cost for a home EV charger is around $1,000-1,300. Today there are over 21 states across the US that offer 50-100% rebates to homeowners that install a dedicated EV charging station. Find out if you can take advantage of this program in your area. If your battery starts to run low during the day, you can pull into a local EV charging station. Today, there are around 47,000 free public charging stations across the US. Many are located in libraries, large office buildings, colleges, large retail locations, etc. Keep in mind that it can take up to 8-10 hours to get a full charge. However, you don’t need to sit there for that long. Instead, depending on how busy you are, or when you take your breaks, you can just find near by stations and recharge the battery a little bit to allow the car to keep going, so you continue picking up rides. This is the largest charging network across the US, so you will easily find many of these. The cost is either free, or as determined by the property owner where the station is located. There are about 1,680 sites, and they are primarily located in California, Texas, Washington, Arizona, Oregon and Tennessee. You have to sign up for membership and there are different levels that will impact the cost of charging. On average, the cost is $0.39 to $0.79 per kWh, depending on your membership level. In some states, where its not allowed to charge per kWh, fees are charged on a time basis and range from $0.04 to $0.06 per minute. Offers 774 locations across the US, with main concentrations in DC, Texas, and California. You need to sign up for membership to use the station (its $9.99/month), but its possible for anyone to use it as well. Level 2 charging is $1.5 per hour for everyone. DC quick charging costs $0.20 per minute for none-members and $0.15 per minute for members. There are around 495 Tesla supercharger stations scattered across the US. Initially, Tesla thought it could offer extremely low rates in the ball park of $0.07 per KwH. However, that never happened, because local electric rates are much higher, and Tesla’s stations still rely on local electric companies. Consequently, the cost today is rather high, around $0.22-0.25 per kilowatt hour, depending on the area. Not every EV is compatible with a Tesla supercharger station, so you need to check if your is. While, you pay more, you will be able to bring your car back to full battery 8 times faster than a standard 110 volt charger. Moreover, there are more than 3,000 Tesla Destination stations in various states. These are usually 240 volt chargers that are managed in partnerships with various businesses, and the rates vary. These are the super fast and powerful chargers that can restore your battery to 80% of its capacity in about 30 minutes! There are not many of these around and they also cost a lot more than 240 volt chargers. Rates vary depending on the city and the station owner. To find charging stations near you, you can use our own EV Charge Station Finder or the PlugShare website or app. Just enter your location, and you will get a list of various charging stations close by. The best part about this service is that they will show you how many ports are open at a particular location and how much they charge. So you can find the nearest open station, without having to wait in line. Will you loose business while you charge your EV? Another concern that many drivers have is the length of time it takes to recharge a low battery. Some worry that sitting idle for over one hour when the car is charging will mean loosing a few local rides, and this can bring down your total earnings. Others just don’t like the idea of having to wait around for so long, especially when you can fill up a car with gas in under 5 minutes. Moreover, there are not too many Level 3 supercharger stations around and they are too expensive. 2. Find Level 3 superchargers in the area where you do the most driving, so you know where they are ahead of time. Calculate if the cost of using these and saving time to get more rides is a worthwhile investment. 3. Accept the long charging times as the necessary downside of driving an electric car. Figure out if the other pros outweigh this issue. 5. Look forward to a brighter future: there is a huge push for mass adoption of EVs in the US. Car manufactures and large tech companies are actively investing in technologies that will allow you to charge an EV in 8-10 minutes. These super powerful 350 and 400 kilowatt sites will start to become available in two to three years. Giant companies like BMW, Ford and Volkswagen, along with ChargePoint and Electrify America are working on developing and rolling out these charging stations both in Europe and US. For ride-hailing drivers considering an electric car, its easy to get started, because you can rent this car from Uber, Lyft or a third-party service, called MavenGig. Since purchasing a new electric car is a costly investment, the option to rent makes it much simpler to make the switch. MavenGig: this is a service that is offered by GM and allows you to rent a Chevy Bolt for $229 a week. This option is great for part time drivers, who either don’t own a car or don’t want to use their personal vehicle. The only downside is that this service is currently only available in 8 cities: Austin, Detroit, San Diego, San Francisco, LA, Phoenix, Boston, Washington DC, Baltimore. GM plans to add more locations in the near future. In select cities, Maven drivers will also have access to Free complimentary dedicated charger stations powered by EVgo. This pilot program drew a lot more interests and participation requests than was initially anticipated. Lyft Express Drive Program: this is a unique opportunity geared toward full time drivers who are loyal to Lyft. It allows you to rent a Chevy Bolt for FREE if you make 75 or more rides per week. If you give 45 rides a week or less, you will need to pay around $200 a week for the rental (prices vary based on location). Finally, when you give less than 45 rides a week, you will need to pay the weekly rental fee, plus and additional $0.25 per mile used outside of work hours. Lyft also partners with Hertz, and you can lease a different electric vehicle, such as a Nissan Leaf. The program is available on a weekly basis, and costs vary based on location. Uber Car Rental: there are a couple of flexible rental options, depending on how much you want to drive. Like Lyft, Uber also partners with Hertz, and you can rent an EV such as a Nissan Leaf or a Chevy Volt, on a weekly basis. Prices start at $214 a week, but vary based on car and location. You have the option of renewing the lease, week to week. This option is available for drivers in the following areas: Atlanta, Boston, Chicago, Denver, Los Angeles, Orange County, Miami, New Orleans, and the San Francisco Bay Area. For drivers that plan to work for Uber long term (more than 10 weeks), there is a more economical option to rent a car through Fair.com. Leases start as low as $130 a week, depending on the car. This option is available in: Inland Empire (CA), Los Angeles, Orange County, Philadelphia, San Diego, San Francisco Bay Area, Sacramento, Seattle, Nashville and Chicago. In 2015, Uber started its own car leasing program for drivers, called Xchange Leasing, and there were some EV cars available through this service. However, it had to shut it down only two short years later, because it was not profitable. Xchange leasing was acquired by Fair, a company which now partners with Uber to lease cars to drivers. In an effort to get more of the company’s drivers to adopt EV’s, on June 19, 2018, Uber launched a pilot program called, EV Champions Initiative, that offers various perks to drivers who switch to an electric car. Its currently running in 7 cities: Austin, Los Angeles, Montreal, Sacramento, San Diego, San Francisco, and Seattle. – In San Diego, San Francisco and Pittsburgh, drivers of EV’s or hybrids earn $1 dollar per ride, with a cap of getting a $20 bonus a day. – Drivers in LA will receive educational tutorials on how to get state and federal rebates for EV’s, and residential electric chargers. – All drivers in the pilot will get an alert in their smartphone app that will alert them of trips that are longer than 30 miles. – Riders will get an alert in their app, when they are paired with an EV driver. summary of pros and cons of making this transition. Still not sure if an EV is right for you? In case you are struggling to figure out whether using an electric car for your ride-hailing business is a smart decision, there is an easy way to find out. Simply rent an EV for a short period of time and test it out! This way you don’t need to make a huge commitment, or major changes to your daily work routine. A rental service called, Turo, allows you to rent various EV vehicles on a daily basis. These cars have been in personal use previously. Depending on your city, you can rent EV cars such as a Chevy Volt or Fiat 500 for about $44 – 66 per day. A more luxury car, such as a Tesla Model S or Tesla Model 3, can be rented for around $120 – 260 per day. Maven Gig (which we talked about earlier) lets you do a weekly rental of the Chevy Bolt EV for about $229 week (excluding taxes and fees). Of course, it would be better to rent and try an EV for a week, as opposed to a day, because this will provide you a lot more hard data on which to base your decision. However, doing it even for one day can still give you a sense whether an electric car can actually make you money in the ride-share economy.